The British government has failed to act on air pollution and refused to increase taxes on diesel vehicles or stop new schools from being built in pollution hotspots, a committee of lawmakers has found. A report by the House of Commons Environmental Audit Committee released in December last year called on the UK government to take action on air pollution by raising taxes for diesel vehicles. In its response Sunday, the government rejected the proposal and pointed to an announcement made in 2013 that there would be no changes to vehicle excise duty. The MPs also called for a national framework of low emission zones in cities and for a certification scheme for vehicles, depending on how polluting they are. The government did say that low emission zones might be included as part of broader air quality plans, but these will not be submitted to the European Commission until the end of 2015. 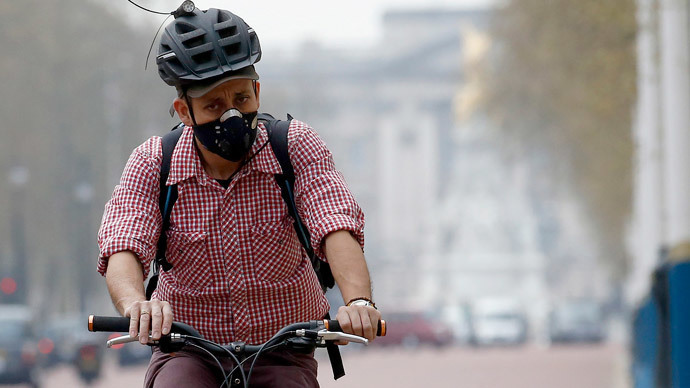 Separately, London Mayor Boris Johnson has said that a low emission zone in central London will be created by 2020. The MPs also suggested that the government should change planning laws to make it impossible to build schools, care homes, and health clinics near air pollution hotspots. However, ministers said that filters could be fitted to schools ventilation systems and that there was no need for a change in planning regulations. Labour MP Joan Walley, who sat on the committee, said in a statement that she is disappointed by the government’s failure to face up to the problem of air pollution, which kills almost as many people in the UK as smoking. “Ministers have once again failed to face up to the problem and instead passed the buck to the next government. We have been warning that urgent action is needed for the past five years. While this Government accepted that there is a problem, it has repeatedly failed to take the decisions necessary to sort it out,” she said. Walley added that the UK government has been ordered by the European Court to reduce air pollution in British cities. The UK has repeatedly failed to meet EU limits on nitrogen dioxide and diesel particular matter, both of which are highly damaging to respiratory systems. Time is now running out for the government to take action, and the British Supreme Court will make a final ruling to force minsters to comply with EU air quality rules later this year. A government spokesman defended the response, and insisted that much has been done in recent years to improve air quality. “Air quality has improved significantly in recent decades and we are investing heavily in measures across government to continue this, committing £2 billion since 2011 in green transport initiatives,” he said. A few years ago, diesel vehicles were considered more environmentally friendly than petrol ones because they produce less carbon monoxide. However, more recent research has found that they are actually more harmful due to the pollutants they emit.